An article by Andrew J. Gardner called Traditional Nourishing and Healing Skin Care caught my eye (winter 2012 issue of Wise Traditions journal). It's a lovely read and in it, Mr. Gardner shares the traditional use of tallow in skin care for both slight and serious conditions. Mr. Gardner makes and sells high-quality tallow balm through his site Vintage Tradition. Tallow is the rendered fat of cows, sheep, and other ruminant animals such as deer. I want to summarize the key points in Mr. Gardner's article. I encourage you to read it for yourself — in fact, click over and scroll down so you can see pictures of how tallow balm cleared up diaper rash. 1. What makes tallow so wonderful for skin care applications? You might say that tallow is a match made in Heaven (and I believe this) for skin care. Tallow fat is 50 to 55 percent saturated, just like our cell membranes, making it helpful for skin health and compatible with our biology. Tallow is similar to our “sebum” — the oily, waxy matter that lubricates and waterproofs our skin. Tallow contains the abundant fat-soluble activators — vitamins A, D, E, and K — which are necessary for skin health. Tallow contains conjugated linoleic acid (CLA) which has anti-cancer and anti-inflammatory properties. Tallow contains palmitoleic acid, which has natural anti-microbial properties. By the way, #3, #4 and #5 especially are qualities of grass-fed tallow, not conventional. Which brings me to the second point. 2. Is being grass-fed really that important? 3. In what ways can tallow balm be used? Tallow balm is very, very useful — take note! I perked up at the word rashes, and began to think of how tallow balm might help my ‘kp'. Keratosis pilaris is a rash — and it is caused by Vitamin A deficiency. 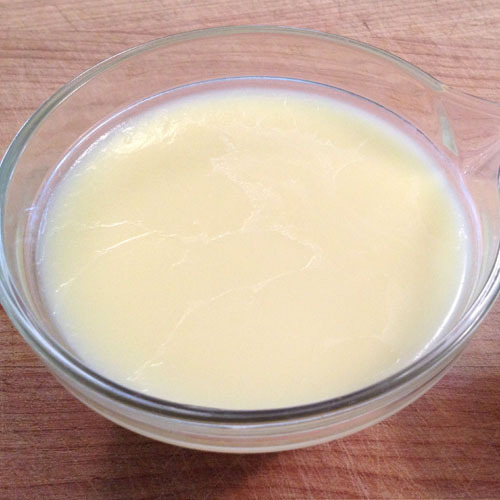 Tallow balm is a rich source of Vitamin A. Seems like it could work! Since then, my ‘kp' has gotten better. Avoiding the icky shampoos made a BIG difference. I use hard lotion bars with coconut oil and shea butter for moisturizer (this gal says coconut oil cured her kp). I use a blend of essential oils good for skin, called Skin Care: lavender, frankincense, carrot seed, neroli, roman chamomile and rose otto. (If you order this, please use code 91353 to tell them I sent you!) Finally, my diet contains Vitamin A rich foods such as grass-fed cream and butter, and fermented cod liver oil. And my rash is better. It isn't so inflamed or itchy, and my skin is softer. Definitely not like sandpaper anymore. But the rash is still there, as you can see. This photo was taken yesterday. Though I'm happy about the improvement, I'd really like the rash to go away completely. I really, really want to see if tallow balm can heal my keratosis pilaris, and we happen to have loads and loads and loads of grass-fed tallow. So I made myself some tallow balm. And surprisingly, it is not greasy feeling at all. My skin soaks it up right away and just feels nourished and moisturized. Mr. Gardner's article contains simple directions. Below you'll see the recipe I created based on the proportions Mr. Gardner recommended. Please use grass-fed tallow. If you don't have a local source, you can get high-quality grass-fed tallow from U.S. Wellness Meats. A little goes a long way, and wouldn't tallow balm make great gifts? You might say that tallow is a match made in Heaven (and I believe this) for skin care. Surprisingly, it is not greasy feeling at all. My skin soaks it up right away and just feels nourished and moisturized. Makes 20 ounces. 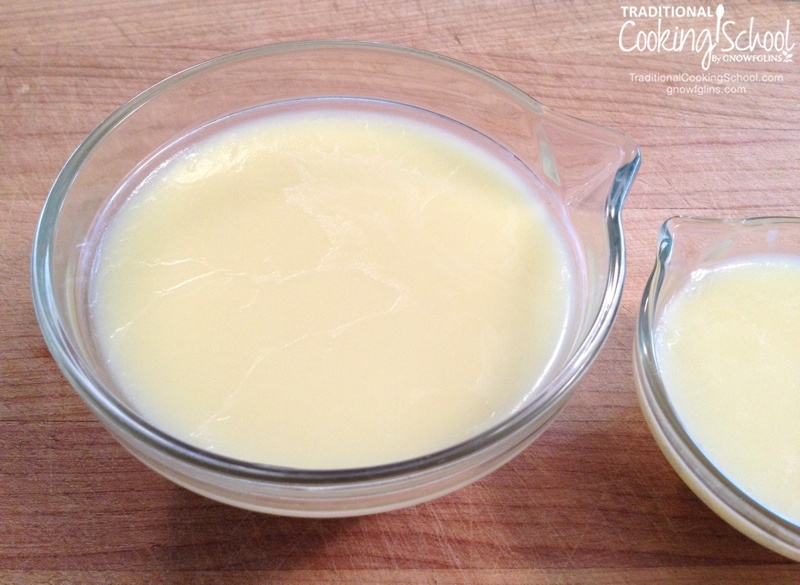 Over low heat, melt tallow until just barely melted. Don’t let it get hot. Add olive oil and essential oils. Pour into containers (that have covers). Will harden fairly quickly. Store in a cool location and keep covered when not in use. *About essential oils: They are concentrated, so use sparingly. What I did was add just enough to mask the not-unpleasant-but-distinct tallow smell, as well as add a nice fragrance to the balm. I'd suggest starting at 1/8 to 1/4 teaspoon of straight essential oils for a batch this size. Scale up or down as needed. Since I used my Skin Care blend of oils, already diluted in a cucumber oil base, I ended up adding 2 teaspoons of it (and I just might remelt and add more). 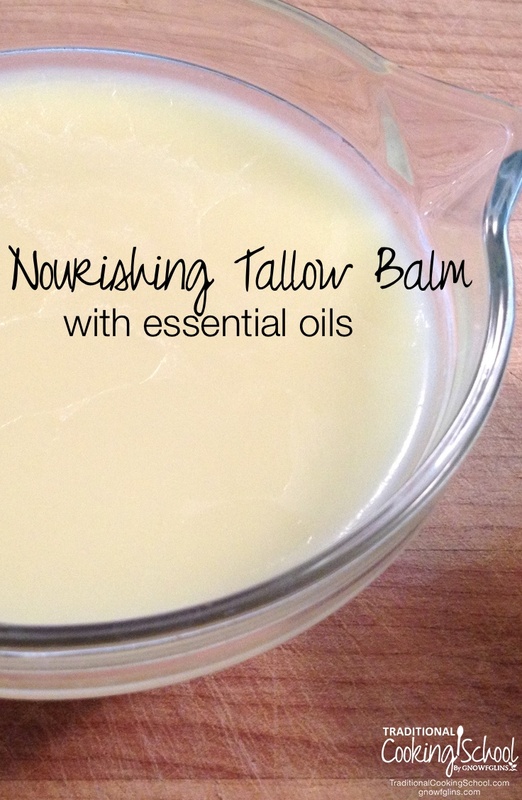 I am planning on using my tallow balm at least once daily, if not twice, on my arms. I am documenting its effect on my ‘kp' and I will report back with my results. Do you use tallow balm? If so, for what and with what results? Or, do you have a skin condition that might benefit from tallow balm? Please share! Dr. Marshall at healthline.cc has always said that bumps on the back of your upper arm mean gallbladder problems. You may want to look into a gallbladder flush. So many people get rid of their gallbladder if they have problems instead of doing cleanses. My husband had many attacks until he did several flushes and stayed away from bad fats. He hasn’t had an attack in years. We need our gallbladders to digest fats. Do you think this would have any affect on acne? I don’t know, but I want to try it on my teen children. I’ll let you know how it works. I battle with acne and I’ve been using tallow on my face for a while. I do feel like I’ve noticed improvement in my skin. I do still get some acne, but not as much. My pores seem smaller and I love the way it makes my skin feel soft and nourished. It doesn’t seem to be as dry, either. I’ll keep using it… even though my husband thinks I smell like celery 🙂 (no, I don’t add celery when rendering my tallow :). It has definitely helps my acne! However, I don’t use tallow balm with olive oil in it — even if it’s organic extra virgin olive oil. For whatever reason, it doesn’t seem to sit well on my face. The tallow balm that has helped my acne has organic castor oil in it instead. I get mine from Becky’s Tallow Treasures. https://www.beckystallowtreasures.com/collections/tallow-balm/products/lavender-frankincense-tallow-balm Since it has castor oil, it even works really well with the oil cleansing method if you’re into that! So definitely make sure that the second oil is compatible with your skin. Ooh I’m so psyched about this! I have KP pretty bad and I’ve been trying to get rid of it. I found out I have a genetic issue that prevents my body from converting vitamin A into retinol. So, I’ve been trying to take lots of FCLO and eat liver. I was wondering if your body could absorb it through the skin so I’m really happy you’re doing this experiment. I have some suet in my freezer and I think I’ll make up a batch of this. I hope this helps you! I was happy to read it. 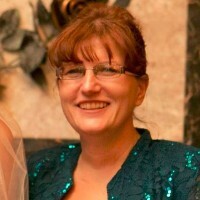 One of our daughters (grown, married) has had this condition most of her life, so I’ve sent her a link to this page. Thank you! I’m sharing this with some of my local organic farmers. Hopefully one or more already makes this or is willing to try. I’d love to try some. I have been making this for my daughter with eczema for a few months and it is truly wonderful! The whole family likes using it too, it is very silky and not oily. It soaks in right away too. 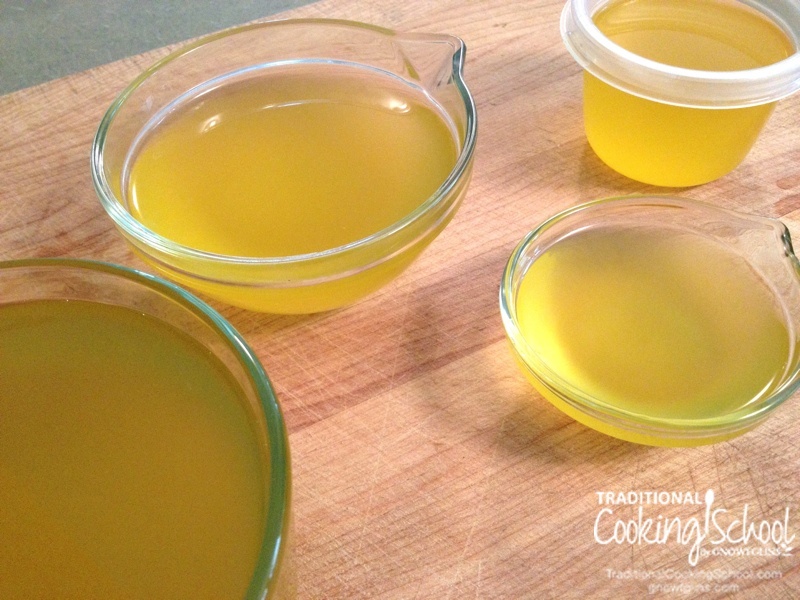 I use the same amounts as our recipe, for the olive oil we sometimes add a calendula soaked olive oil for additional calming effects on rashes. I had the same rash all my life-50yrs- all of my family do. My grandma called it chicken skin. One of the first changes I made to my diet was adding flax oil to my salads and yogurt. 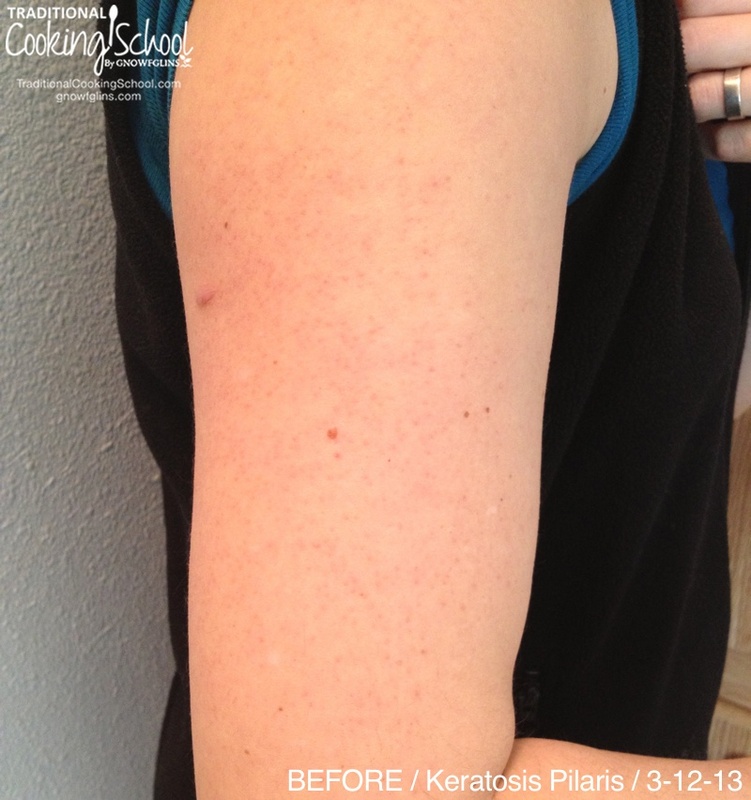 The rash was gone in two weeks! Now I use CLO and butter oil-still gone. I’ve been making and using tallow balm as a moisturizer on my face for a few months now. I have seen a big difference in my skin. Its incredibly soft, and my acne is much improved. I have gotten to the point where I am so confident with my skin that I can usually go out without foundation on. I feel like my skin looks smoother and younger also. It’s pretty amazing! Love to moisturize my hands with it too! I make mine pretty much the same way, only I like using jojoba oil instead. It seems to work better for my skin. I also don’t add essential oil any more….at least not lavender. It smelled like flowery roast beef to me 🙂 I now just rub a drop of lavender on just after I apply the balm and it smells much better for some reason. I just rendered grass-fed tallow for the first time a couple of weeks ago. I noticed as I was making it that when I rubbed the stuff on my hand into my skin, it made it extremely soft and supple (although a bit smelly). I’m excited to try this recipe. Are you ready to post your update? I am especially interested because my husband has kp and my 2 year old daughter does too. My infant son has a different sort of texture to his skin, not sure if that will become a problem or not. But either way, I really would like something to use on my daughter. She’s got it on her arms and some on her cheeks. I initially bought some tallow balm from vintage Tradition just to try it out and see if I’d like using it on my daughter’s diaper rash. It worked wonderfully!!! I then decided to make my own so that it would be cheaper, and the batch I made turned out to be runny if it’s not kept in the refrigerator. The vintage Tradition balm was in a solid state even at room temperature, so I’m not sure what I did wrong. Any thoughts or advice? Thank you! This article caught my eye in Google, and a fascinating one it is too, I have heard of tallow of course, but never knew it could be used for skincare, you learn something new every day. Having said that meat butchers who are handling animal fats all day in their shops usually have wonderfully soft hands. My first thought is that tallow may block the pores of skin which would be a disaster for acne sufferers, but it seems this is not the case. Just a heads up first: the “SKin Care’ link didnt work for me…it does go to NAN, but says error, using my savvy techy skills, I entered “skin care” in the search box and then found it….Again just FYI. I want to do this. I have tallow in my freezer which I had rendered ( on stove top with salt and water) does this method give the same as the method you use here? Thanks for the heads up on the bad link. 🙂 I’ve fixed it. Is your tallow gritty from the salt? We’re concerned the salt might dry out your skin and are tempted to say ‘no, we don’t recommend it’. But… you could try a small batch and see how it turns out. Let us know if you do and the results. I am curious if anyone knows whether lard would have similar benefits? At the moment I have access to some good quality (properly raised pigs) leaf lard from a local farm. Will be looking for a good tallow source too after reading this! Sybil, I really don’t know. The article I read shared the benefits of using fat from ruminants. You could always try it and see if you like it. But having said that, people do use lard in moisturizers, so I say give it a try! Did you have any luck with using the lard from the pig? I access to pig lard more than tallow and I was curious how it turned out. I have had KP all my life of 60 yrs. Within 3 wks of starting eating Paleo my KP become almost unnoticeable. The tallow, though, helps keep it smoother. I, too, bought the Vintage Traditions at first. Yesterday was my first rendering and my home-made tallow is great. I cooked some eggs with it this morning and the balm I made with geranium oil, rose hip oil, and lavender is really nice. It has a smoother consistency, better than the VT balm. I have been using the VT balm on my face for several months as a daytime moisturizer under makeup. It’s great for that , too. I’m looking forward to seeing how my home-made compares. Lastly, it is VERY dry in CO and my skin itches to the the point of my scratching until I have black & blue marks. Tallow has been the only product that has consistently helped. It seems that Mother Nature has given us a wonderful product. I absolutely love tallow salve!! I’ve been using it for almost a year and my skin has never been more moisturized than it has with tallow. All the store bought creams would burn my skin because I’m going through something called Topical Steroid Withdrawal, which is something I wouldn’t wish on my worst enemy. If you want more information go to http://www.itsan.org for more information. I will only use tallow salve for the rest of my life as I know exactly what’s in it and it doesn’t contain any alcohol unlike the store bought creams. Geanna, My son is also going through tsw. Are you still doing well using tallon? I know you wrote this a while back, but hope I can still help with your daughter’s acne. I read somewhere that you can use lemon and jojoba to clear up the acne. I use to have awful acne and realised I was allergic to sulphates in body wash so started using castile soap and avoid getting any other product on my body, especially from shampoos. I’m so grateful for this post/recipe and to see I’m not alone in this KP issue too! Kids can be cruel and I always felt ugly while growing up. I just made my first batch with lavender oil and filled two 16oz jars. Thank you for recommending U.S. Wellness Meats! My question to anyone is: How to store it? The package slip that came with my order said tallow keeps for months in the fridge, a year if frozen. Can I keep my prepared balm in a bathroom cupboard without it spoiling or losing too much healthful properties? For how long, do you think? I have a feeling I’ll be using everyday all over (full body KP) but it’s too hard in the fridge. I have to scrape at it to get some to use. I am totally sold on the tallow balm and can’t wait to make a batch both for treating kp in a few of my daughters and for use on the face. We have been using the oil cleansing method with success for all the skin types under our roof (6 teenagers + others). I’d like to add the balm and see if there is further improvement. From the article, I’m suspecting there will be. I have a question though, you mentioned getting rid of the “yucky” shampoos. What are you using instead. This has been a sticky subject in our home with 5 daughters that are all for doing things naturally but also not willing to give up shiny, bouncy, beautiful hair which they all have using mainstream shampoos. I’d love some suggestions. Thanks! I love using tallow for skin care, and as a wound cream it is amazing. I made one with rose hip oil in place of the olive oil and lavender EO, & it healed a bad gash on my hand in no time. But what really amazed me is, I had a bad tooth ache, it was driving me crazy. So without really thinking, I put a dab of the balm on my tooth, & didn’t move my mouth for a few minutes. WELL, it worked, it really stopped the pain within 2 minutes. Please give it a try if you are in pain, tooth aches are horrible. I have to have the tooth extracted when I have enough money, I am going to make up my own version of tallow tooth gel to use as needed. You cannot find Tallow, I tried. I buy mine from U.S. Wellness Meats. It’s wonderful. Wardee, I make goat’s milk soap by cold process (not the melt and pour kind) with a recipe which is the highest % of milk possible. Everyone who has used this soap has reported the bumps on their skin went away. If you email me private, I would gladly mail you some soap all natural fragrance free goat milk soap to try if you would like to. Hi, the tallow source in the link provided in your recipe above-is that tallow already rendered, or do I need to render this upon purchasing? Does it smell like beef? My issue has ALWAYS been dry skin., even as a teenager. When I switched over to more natural items like oils, it got better but it still wasn’t enough. It wasn’t until I discovered tallow that things improved dramatically. I started out by using Vintage Traditions brand but ultimately starting making my own recipe with tallow, marula oil (this oil works best for me), and neroli oil. Can be used anywhere on the body but it has done wonders for my face (I’m 52 and can confidently go out without makeup), my hands, my elbows, and my feet. They are all baby soft! It even cleared up my daughter’s excema. The balm is nourishing … truly! 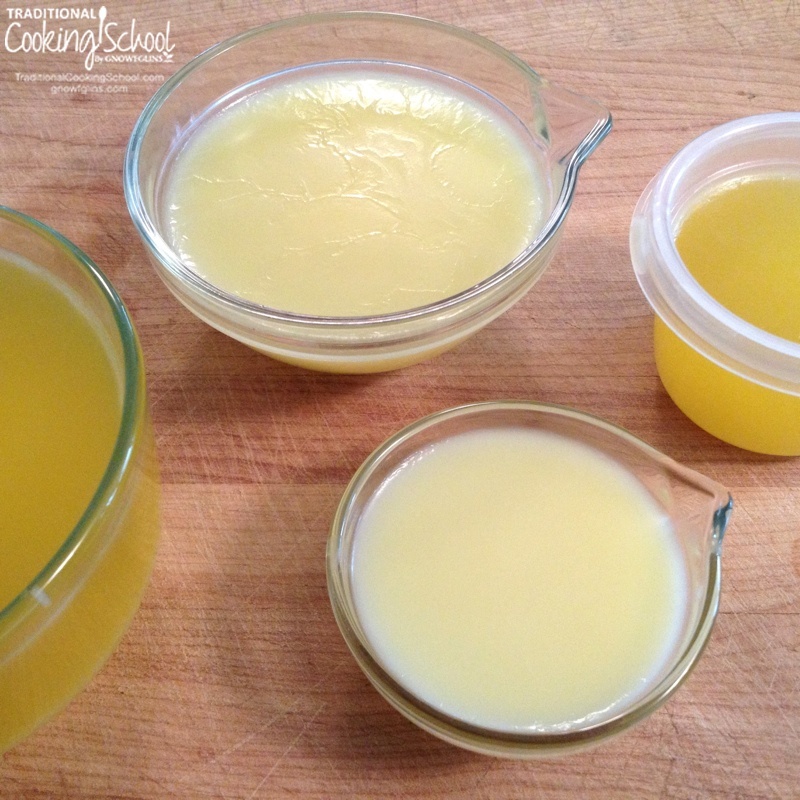 You can switch up the recipe to make a great diaper rash ointment, a great chest rub for cold season, and I’ve heard it makes a great hair conditioner, but I haven’t tried that yet. I also use it in cooking … the health benefits are incredible. Thanks for letting me share! Hi! When making this, does it need to be refrigerated and how long is it good for? I want to use this as a diaper rash cream. Thanks in advance! So true… tallow makes some the best skin care stuff… my husband uses an old fashioned tallow and goat milk shaving soap from https://www.freereignfarm.com/product/shaving-soap/ that he ADORES…refuses to use anything else!